US-based Fidelis Cybersecurity, a leading cybersecurity company, will showcase its latest active deception technology at the Gulf Information Security Expo & Conference (Gisec) in Dubai, UAE, next month. The event will take place from May 1 to 3, at the Dubai World Trade Center. 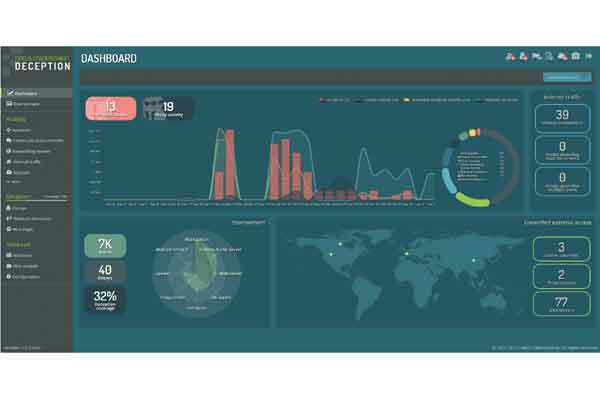 Building on the capabilities of Fidelis Elevate, an automated detection and response (ADR) solution, that was launched in the Middle East at Gitex 2017, Fidelis Cybersecurity will demonstrate how regional organisations can leverage a modern deception defence that extends visibility and detection deep into the network, learns new attacker techniques and better defends organisations’ critical data assets, said a statement from the company. “The need for better detection and response is creating new opportunities for security stack automation, integration, consolidation and orchestration, while also driving the emergence of new segments like deception—the use of decoys, traps and lures,” he said. “An active deception defence, recently identified by Gartner as a top security technology, is emerging as a very powerful post-breach defence that blends within the customer infrastructure and provides very accurate high-fidelity alerts on any suspicious movement in the network, whether from an insider, or a determined outsider,” he added. Roland said Fidelis Cybersecurity's intelligent, automated deception solution offers a unique value proposition for Middle East organisations - enabling security operations teams to work with exceptional effectiveness and efficiency and stay one step ahead of the attackers, by moving from alerts to conclusions.